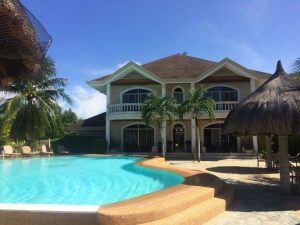 Join us on an amazing freediving holiday with up to 8 days of deep freediving practice culminating in a freediving competition on the beautiful Panglao Island, the capital of freediving in Asia. Freediving Gold Coast has partnered with the very professional Freedive Panglao to offer the opportunity of daily deep diving practice in preparation for a two day freediving competition on the 15/9/18 and 16/9/18. We will arrive in Panglao Island on the 6/9/18 to start daily depth training on the 7/8/18 to the 19/8/18 in preparation for a mini freediving competition on the 15/9/18 and 16/9/18. 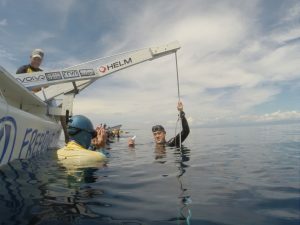 If you have never competed in a freediving competition before this is a great low stress introduction to the sport of freediving competitions in a very safe and controlled environment. We will be staying in luxury beach side accommodation, just a short 10 minute walk from the freediving facilities and a short 10 minute trike taxi trip by to the tourist centre of Panglo. 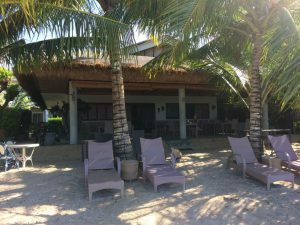 This resort provides some of the best food on Panglao Island with their beach side restaurant. This is not only a great place to relax and recuperate from your freediving training but a great place to enjoy a holiday wtih your partner. We think a great combination is to freedive hard in the morning and then relax and sight see in the afternoon and evening with your partner. Or die hard freedivers can undertake freedive training both in the morning and afternoon.